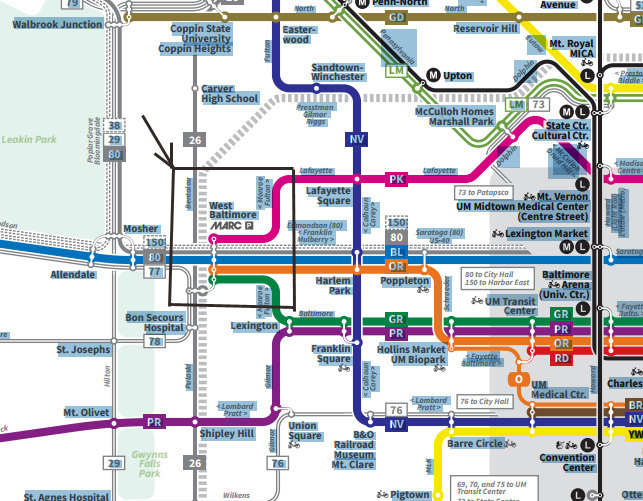 Some people don't even know that West Baltimore has a commuter rail station that attracts over 650 riders a day and connects to the bus lines #23, 40 and 10. 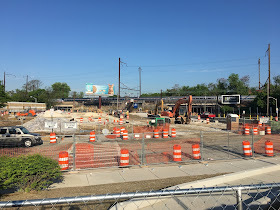 For a long time that historic train stop on the Baltimore to DC Amtrak line (it was once accessed from Edmondson Avenue) has existed as a marginal make-shift station hidden in plain view above US 40 just where the infamous "highway to nowhere" ends when going west. But for some years now, this station has gained notoriety, in part because of the adjacent historic Ice House the most noticeable landmark there and the discussions about the future of the property, in part because commuting to DC has become ever more popular and this station is the departure point of choice for those looking for free parking, and in large part because West Baltimore continues to be in urgent need of revitalization and renewal. What better place to start than a well used rail station? This is what Governor O'Malley thought when he announced the preferred alternative for the Baltimore Red Line here and what Governor Hogan thought when he announced the Baltimore Link bus reform at the same spot. That is also what Congressman Elijah Cummings thought when he ordered some immediate and short term fixes to the sad looking station which brought new shelters, digital signs announcing the next trains, better lighting and new landscaping. 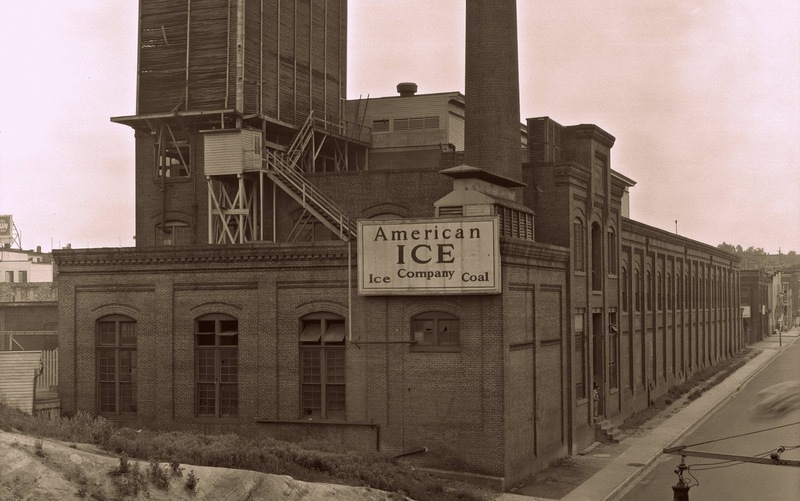 The station area was also the target of some federal TIGER funds that leveled the end of the "highway to nowhere" with its abutments, retaining walls and concrete barriers and allowed Payson Street to re-open and the MTA parking lot to be doubled in size. The lots include art installations. 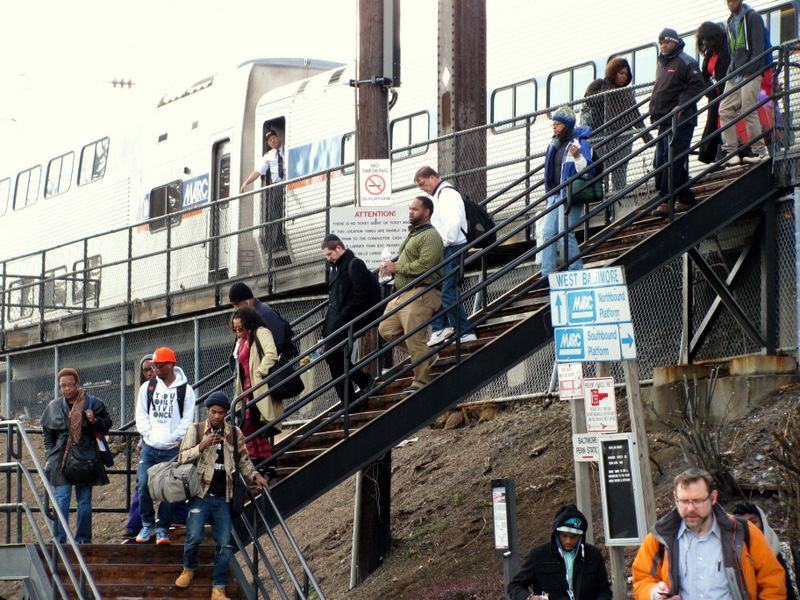 Alas, with its steep steps to the elevated platform the station is still utterly inaccessible for the mobility impaired. A fix is planned but very costly, because it won't only involve elevators and better stairs and ramps but also a shift of the station out of the curved portion of the track which makes high platforms level with the train floor and gap free boarding impossible. Plans to move the station a few hundred feet south are on hold until the future of the Amtrak tracks will be precisely known which are depending on the B&P tunnel replacement design. Meanwhile construction on lot A is in full swing and some may wonder why the MTA tore up that entire lot. 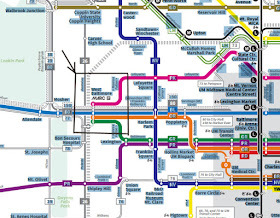 The reason: the station's closest parking lot will become a bus hub. 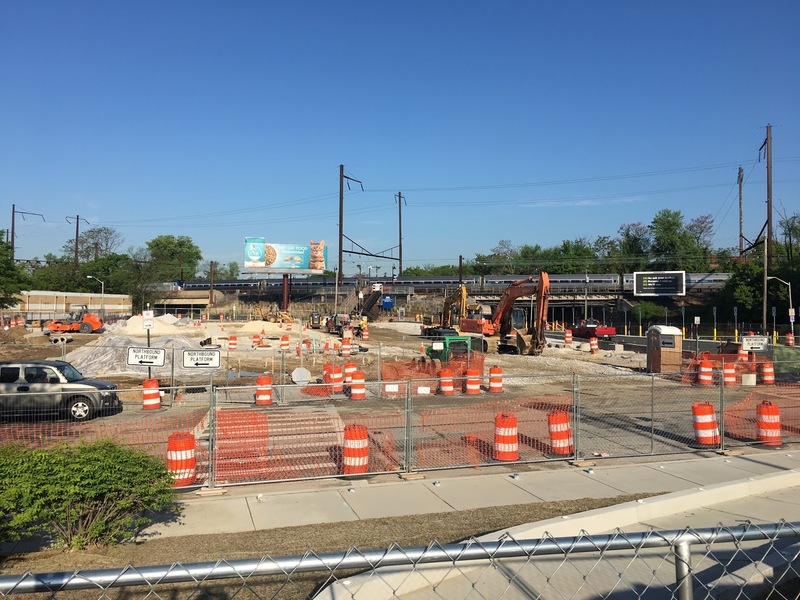 Residents and train riders are currently suffering through another round of construction making train access even more difficult. The bus hub requires digging up the entire parking lot to place thick concrete pavement able to carry the heavy buses so that a number of the new bus Link lines can circle through the lot and allow a cluster of bus stops with shelters and increased lighting with easy transfer from bus route to bus route and to the MARC commuter trains. Lot A will continue to provide parking for the mobility impaired. 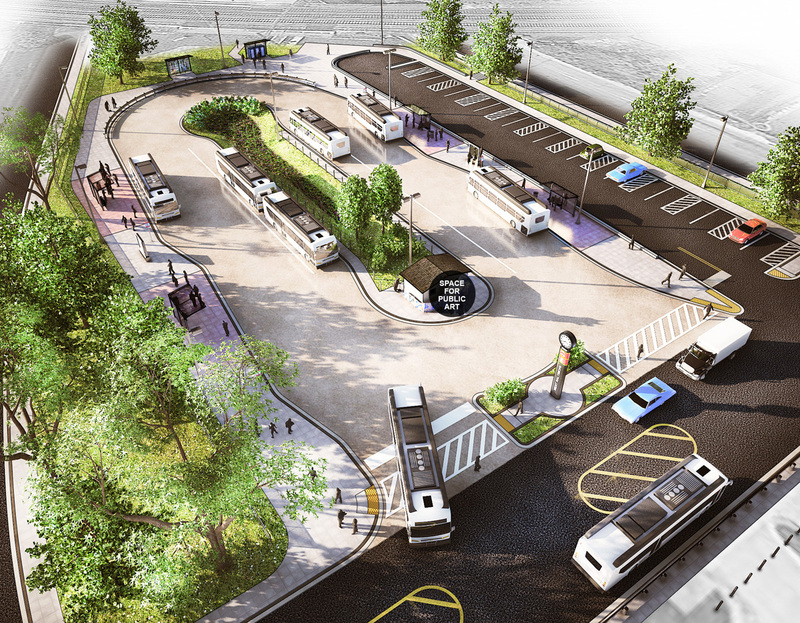 The bus hub will be served by the new CityLink lines Blue, Pink and Orange, as well as LocalLink Line 80 and Express BusLink 150 after they go into effect on June 18 of this year. 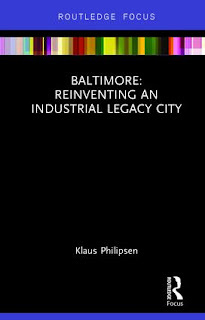 My book, Baltimore: Reinventing an Industrial Legacy City is my take on the post industrial American city and Baltimore after the unrest. The book is now for sale and can currently be ordered online directly from the publisher with free shipping.